Recent Posts How Much Does A General Purpose Transport Stretcher Cost? How Much Does A General Purpose Transport Stretcher Cost? The patient transport stretcher has come a long way. 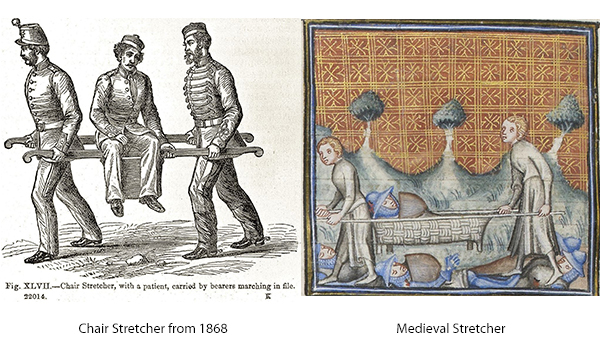 Advancements in technology, functionality and specializations have also increased the costs of transport stretchers. We’ve been remanufacturing and selling new stretchers for decades and have seen a significant transition take place in terms of what stretchers can do. With this article, we will give you the information you need to know when purchasing a transport stretcher, including the cost. What is the purpose of the transport stretcher? The first question to answer is what you want the stretcher to do. A few years ago, a transport stretcher did only just that – transported patients. With advances in medical equipment technology, transport stretchers can now do a multitude of things and boast many more features than previous versions. So the question is, what do you want it to do? What are your needs? Is the stretcher going into a specialized area, or is it just for general purpose? What is the size of your facility? The bigger the facility, the more likelihood that you would find a more comprehensive stretcher useful. Once you’ve answered those questions, it’s time to move to the next set of criteria. One very important thing to point out is the difference between pure transport stretchers and specialized transport stretchers. A lot of manufacturers will have a basic transport stretcher and a trauma or emergency stretcher. Since they can all be used for patient transport, we are including them in this article. Manual stretchers function completely by hydraulics, whereas a powered stretcher can be a combination of hydraulic and electric. A powered stretcher may be that it has a drive mechanism, or it could be that it also has powered functions, such as patient positioning. While powered sounds great, remember that there are other costs associated with it. Powered stretchers will need recharging. With the increase in electric functionality, there will be more parts involved, as well as parts that are more expensive. Apart from manual, hydraulic functioning and powered stretchers, there’s also the type of transport stretcher at the other end of the spectrum – the basic, minimal functionality, bare bones stretcher. Here is where we get in to the finer details of what defines a stretcher’s worth and value. There is a lot to go over, so let’s jump right in. Most transport stretchers will have an average weight capacity of around 500 to 550 lbs. The more basic stretchers have less capacity at around 250 to 350 lbs. As quality, specialization and functionality increase, so does weight capacity. That’s when you start seeing the few transport stretchers that have max weight limits of 700 to 750 lbs. Some stretchers will have separate brake pedals while others will have a single brake bar, which extends lengthwise along the stretcher, giving fuller and easier access to the brake system. For the stretchers that have brake pedals, they can be either located at the head and foot end, or at the sides of the stretcher. Some manufacturers will have an option to add more brake pedals to all four sides of the stretcher. Most stretchers nowadays come with a fifth wheel, located in the centre underneath the stretcher, which helps steer and turn the stretcher, in addition to providing a less bumpy ride for patients. However, most basic versions will not have a fifth wheel, as they mostly entail a basic frame, wheels, siderails and mattress. The importance of the low height capability of the stretcher depends a lot on your patient demographics. For example, if your facility only treats children, the low height specification carries more importance. Alternatively, perhaps the majority of your patients are elderly. In either of these situations, the larger the castor (i.e. 8” vs. 6”), generally, the easier it is to transport the stretcher. However, an important consideration with castors in addition to just size alone is the quality. There is a huge discrepancy in cost for quality vs less quality. Cheaper, generic castors will definitely help with your budget, but they may end up causing you more issues later on. For one, you won’t have the confidence and trust that the castor is not going to break or malfunction sooner. Secondly, when a castor breaks, the stretcher is out of use, meaning that it’s now inconveniently costing you more indirectly. A few castor manufacturers are recognized as the leaders. These castors may cost you more, but the quality pays for itself. Prices for castors can range between fifty and a few hundred dollars. Castor weight capacity is influenced by quality of material and size – not all 8” castors will have the same weight capacity. Also, keep in mind that 8” castors raise the stretcher’s minimum height, which decreases the stretcher’s accessibility. At the end of the day, every good foundation starts at the base. The same goes for stretchers. 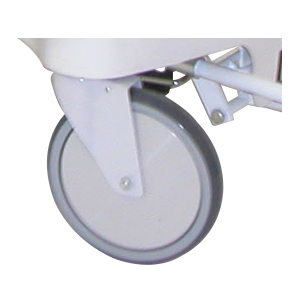 Having good castors, which suit your needs, are one of the most important features. Stretcher siderails have two very important functions. The ability of the siderails to allow the stretcher to have as close to a zero transfer gap between the stretcher and the surface you are transferring to (i.e. surgical table) makes life so much easier for hospital staff. However, not all stretchers have this design incorporated. With a zero transfer gap, the transfer can be completed in a safer manner, as there is less room for error if a transfer device malfunctions or a patient getting an extremity caught in the gap. Collapsing side rails with pinch points not only create a gap, but they can be the source of an unintended limb squeeze that doesn’t feel very nice! However obvious, the number one function of siderails is to keep patients from falling off the stretcher, so height and length of the siderails will play a big part in that safety feature. Pay attention to pinch points, which can be causes of pain for patients and staff. The ability of the stretcher to do different things will play into the cost. A basic stretcher might not have trendelenburg. Other stretchers may have trendelenburg but reverse trendelenburg is an extra cost. Find out what the angle of trendelenburg is; and more importantly, what angle you need as a frontline user. Some stretchers might have a 90° backrest, while others may only go to 70° or 80°. The thickness and quality of mattress is another factor in the final cost of a stretcher. Standard stretcher mattresses are 3” thick, but you can get different sizes. The quality of the mattress will affect the patient’s comfort, and in the case of a patient being on a stretcher for a prolonged period of time, the quality may even affect their well-being (think pressure sores). Do you go with a standard foam mattress, or do you get memory foam? 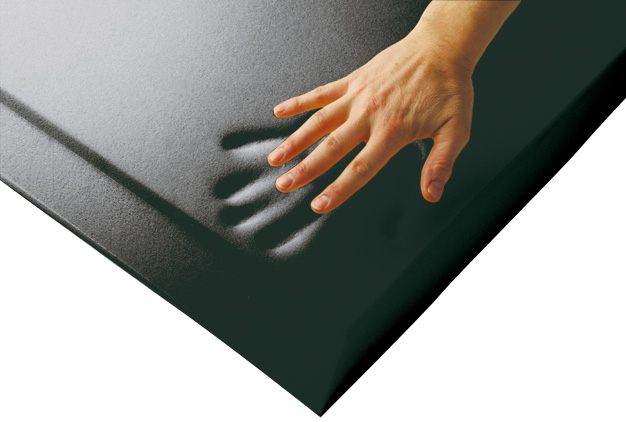 Memory foam mattresses transfer the pressure from bony prominences and won’t bottom out. A four way stretch anti-sheer fusion cover will also make a difference in the quality and price. Another question to ask is if the mattress is electrically conductive. An obvious statement is that the more you accessorize, the higher the final cost. But with transport stretchers in particular, you need to look at the fact that what might be an accessory for one stretcher is standard on another. Here is a list of generic stretcher accessories and options to give you an idea of how you can customize your stretcher. Note that different brands may offer additional customized accessories specific to their brand. Most stretchers will come with a standard one-year warranty. If you’re purchasing bulk through an RFP, you may be offered more than the standard one-year warranty. With powered stretchers, it’s always a good idea to check that all of the electrical components are covered. As with any significant equipment purchase, having a good preventive maintenance plan will help extend the life of the stretcher and could reduce the overall lifetime cost. After the warranty is over, what is the cost for parts? What about the cost of labour? After reading through all of the cost factors for stretchers, it’s fairly evident that the price range is significant. 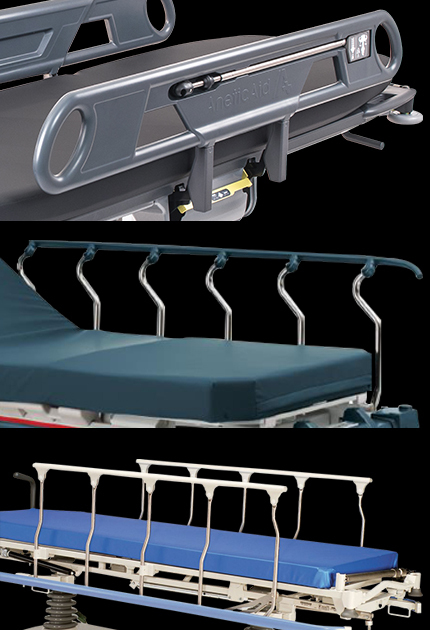 Generally, the most common stretchers would have height, trendelenburg, and backrest articulation, fifth wheel, and some other general features. Typically, they cost between $4,000 and $6,000. For arguments sake, we’ll say that the average price is around $5,000. And then we get into the powered and more specialized transport stretchers. Adding that functionality increases the price range to anywhere between $7,000 and $12,000. What Can Meditek Offer You? 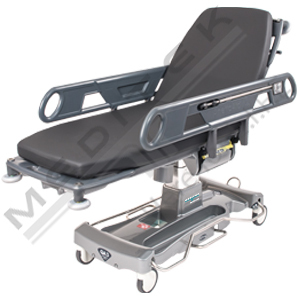 Meditek is in a unique position of being able to offer new and remanufactured stretchers. We are privileged to be the exclusive Canadian distributor of the QA series stretcher, a superior product in many respects. And with a wide network of associates spanning all over North America, we have access to other well-known stretchers, such as Stryker and Hill-Rom®. 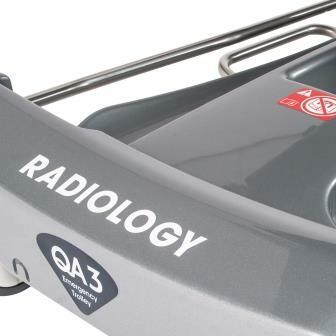 Our remanufacturing process, ReNew, restores hospital equipment to as-new condition and comes with a two-year parts and labour warranty.